Candidiasis is one of serious and major infectious disease caused by the virulent fungus Candida albicans or other Candida species. Pharmacotherapy of candidiasis often involves the administration of antifungal drugs such as amphotericin B, micafungin and caspofungin. Unfortunately, several mutants of Candida with reduced susceptibility to these drugs have emerged . As well as a pharmacotherapy, a vaccination against Candidiasis is an important strategy in efforts to prevent infection of Candida species. In recent, we have developed molecular display technology using microbial cells. This technology uses genetically engineered microorganisms to produce foreign proteins on their surface . The use of cell surface display system to prepare target proteins is well established for use with the yeast Saccharomyces cerevisiae. It has been applied to wide variety of fields, for example, bioremediation, whole cell biocatalysts, biosensors, screening of ligand peptides for receptors and so on. We present that the antigens displayed on yeast cell generated by using this molecular display technology offer a novel type of oral vaccine against candidiasis, conveniently. The enolase 1 protein (Eno1p) from C. albicans was selected as the model antigenic protein to be displayed on the surfaces of S. cerevisiae cells . Arendrup MC. (2013) Dan Med J. 60: B4698. Shibasaki S & Ueda M (2010) Recent Pat. Biotechnol. 4: 198-213. Shibasaki S & Ueda M (2016) Methods Mol Biol. 1404: 497-509. Seiji Shibasaki has completed his PhD at the age of 27 years in Kyoto University in Japan. He studied biochemistry and biotechnology as Associate Professor at Kobe City College of Technology in Japan and as visiting researcher at Royal Institute of Technology in Sweden. 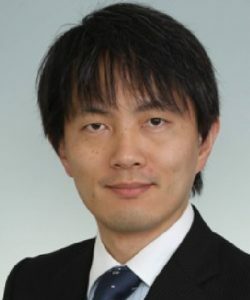 At present, he has been an Associate Professor of Hyogo University of Health Sciences since 2007. In 2018, he delivered lectures on bioprocesses and biomaterials at Turku University of Applied Sciences in Finland as a visiting professor. He has published more than 50 papers related in molecular biotechnology in reputed journals.